Brock Lesnar returned to WWE at an unexpected time and at an unexpected place: WWE Hell in a Cell PPV. 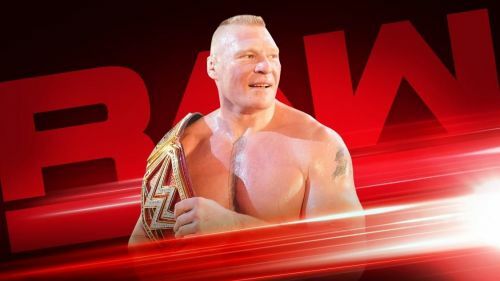 Though initially Lesnar was restricted to a just one-off appearance at the Crown Jewel PPV, following Roman Reigns announcement of battling Leukaemia, Lesnar will now stick around with WWE for much longer time. Also, at WWE Crown Jewel, Lesnar won the WWE Universal Championship beating Braun Strowman for it, although it was unorthodox. But now since he has already won the title and will be staying with WWE for much longer time, it's clear that many bad things will now happen in WWE. So, today in the feature we're just going to take a look at those three-bad-things that may happen in WWE now following Lesnar's Universal Championship win at WWE Crown Jewel PPV. Brock Lesnar won the WWE Universal Championship for the first time defeating Goldberg at WrestleMania 33. The first time he defended it against Samoa Joe at WWE Great Balls of Fire 2017 and the last time he defended it was at this year's SummerSlam. In the meantime, he defended it only seven times. While speaking of Roman Reigns, when he won the title and defended it more times in just two months than Lesnar did in a year. Also, now Lesnar has won Universal Championship for the second time at WWE Crown Jewel PPV and guess what this time around it won't be different than the last time because, according to the latest rumor, Lesnar is slated to defend his title only two times until next year's April. The first time he may defend it at WWE Royal Rumble PPV and then at WrestleMania 35. Also, he is expected to lose the title at next year's WrestleMania.